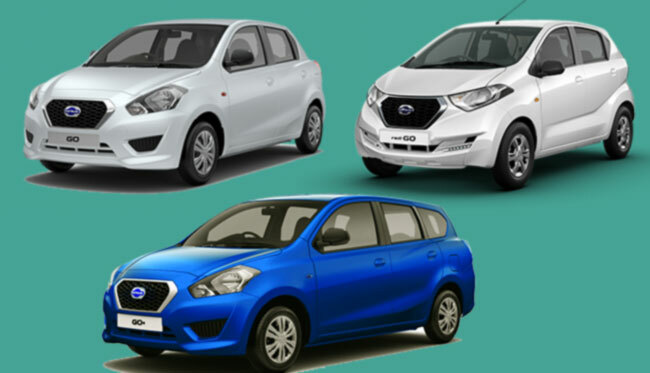 Datsun car is currently available in 3 different models of cars within the price range of Rs. 15 to 28 Lakhs in Nepal. Here is the list of Datsun car price in Nepal for 2019. This price list covers almost all models of Datsun cars available in Nepal. Please note that above price is subjected to change and is for reference purpose only. Kindly contact Datsun Nepal to get the latest showroom price. Note: Datsun car price list was last updated on February 12, 2019. Datsun cars in Nepal are distributed by Pioneer Moto Corp Private Limited. This brand is manufactured by Nissan car company. Datsun’s production began back in 1931. However in 1986, Nissan stopped its production. It re-launched Datsun in 2013 as low cost car brand targeting budget customers. The Datsun brand was re-launched in New Delhi with their product “Datsun Go” in early 2014. It entered in Nepalese market 2014 itself. Its sister brand i.e. Nissan cars are being distributed by Dugar Group while it is currently being distributed by Pioneer Moto Corp Pvt. Ltd. In Nepal, Datsun cars are available in 3 models along with theirs variants. These include Datsun Go, Datsun Redi Go and Datsun Go Plus. All of these models come in the price range of 15-27 lakhs. Datsun’s Redi-Go car is quite famous in Nepali market due to its sleek stylish look. It is high on mileage and low on budget, which makes it everyone’s choice in Nepal. Pioneer Moto Corp Pvt. Ltd.
Or you can message us your queries regarding Datsun car price in Nepal or its specifications at our Facebook page.